This is my one picture in Lichtenstein. No, I didn't load my camera wrong. This is basically all that we got to see of the place. That's the castle, right there. We were dropped somewhere in the middle of this place, and had a few hours to explore. I honestly don't remember entirely what we did. I got a slice of pizza somewhere, while some other friends ate a ridiculously expensive $90.00 Chinese lunch, because they were missing rice so much. Liechtenstein is the smallest yet the richest (by measure of GDP per capita) German-speaking country and the only country to lie entirely in the Alps. The population (as of 2011) is 36,281 people. 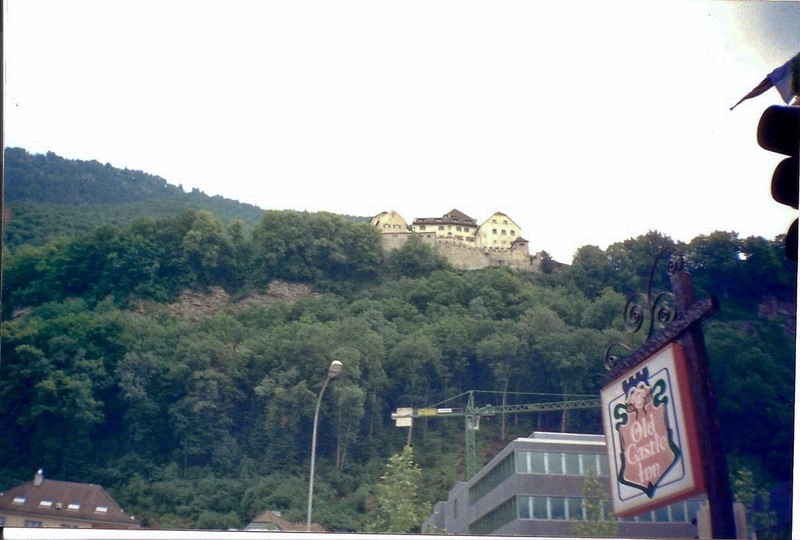 Liechtenstein is a large producer of ceramics and is the world's largest producer of sausage casings and false teeth. Aaaand that's about it. We didn't learn anything in this place because we didn't have a tour. So...not much to say. Sorry!